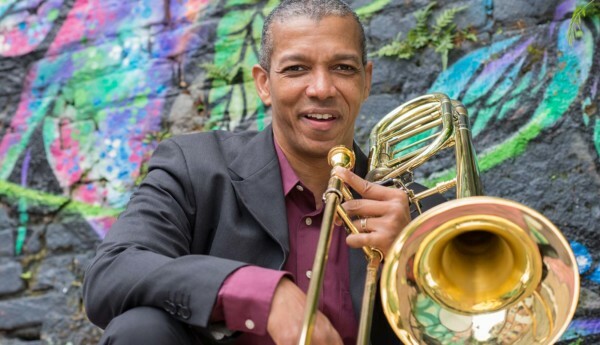 Winner of the 1997 international bass trombone audition for Brazil’s flagship orchestra in New York City, Darrin Coleman Milling was born in Baltimore, Maryland, and is an artist-clinician of Edwards Instrument Company since 1991. During his teenage years, he was the youngest appointed musician to the former Chesapeake Brass Quintet, Louis Hamlin Baltimore Big Band and his first international tour as a bass trombonist took place when he was 13 years of age with the Greater Baltimore Youth Orchestra’s travel to Asia (Taiwan). 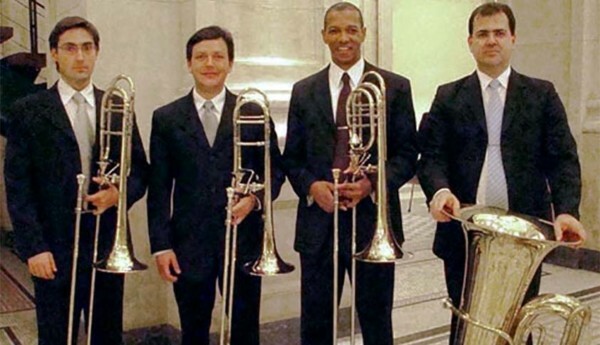 He co-founded Low Brass Project chamber ensemble, Low Brass Project Brasil, São Paulo Brass Quintet, Duo das Américas, The Heritage Duo Ensemble, Duo Música Viva São Paulo and has performed on concert series throughout the US, China, Europe, and Latin America. 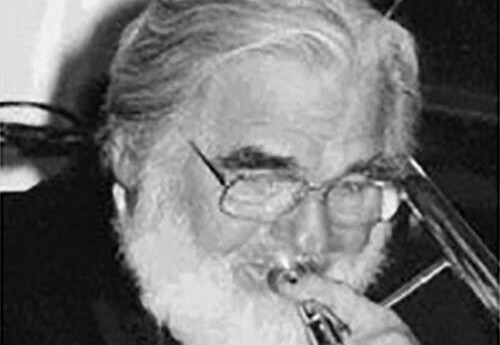 One of his more notable collaborations is with the elite trombone ensemble known as Posaune Decouple, founded by trombone legend Glenn Dodson (1931 – 2007), and comprised of trombonists from The Philadelphia Orchestra, New York Philharmonic, San Francisco Symphony, Bavarian Radio Orchestra, Pittsburgh Symphony, and other internationally renowned ensembles. Darrin’s performances in chamber settings have been broadcasted on, former, Radio WFLN 95.7 (Philadelphia, PA), Radio WMHT 89.1 (Schenectady, NY), National Public Radio (Albany, NY) and several recordings distributed by BIS Records. In addition, he has appeared as soloist with DePaul Chamber Orchestra, Chester Community Concert Band, the São Paulo State Youth Symphonic Band, Luzerne Music Center Symphonic Band (NY), the Symphonic Band of the International Festival of SESC in Pelotas, Brazil, and with the chamber orchestra of São Paulo State Symphony. As an orchestral musician, Darrin participated in a multitude of recordings for Argo, BIS, BMG, Chandos, Decca, and Naxos. He also recorded a European Television promotional with The Philadelphia Orchestra conducted by the late Maestro Wolfgang Schwallisch (1923 – 2013), appeared on Maryland Public Television with Baltimore Symphony and, at present, appears regularly on TV Cultura with his orchestra. Prior to moving to Brazil, Mr. Milling held the bass trombone positions of Pennsylvania Opera Theater Orchestra, the former Bridgeton Symphony (New Jersey)), the former Haddonfield Symphony (New Jersey), Naples Philharmonic (FL), the fellowship post of New World Symphony’s Orchestral Academy and, in 1990, won the national and international auditions for Spoleto Festival (Italy and USA editions), National Orchestral Institute (MD), LA Phil Orchestral Institute and National Repertory Orchestra (CO). In addition to many performances with The Philadelphia Orchestra, he has performed with Jerusalem Symphony Orchestra (Israel), Orchestra of The Philadelphia Opera Company, Baltimore Symphony, Baltimore Chamber Orchestra, Delaware Symphony, National Orchestra of Ecuador and toured Europe with the Tenerife Symphony (Spain). Milling is a graduate of Baltimore School for the Arts, earned his Bachelor´s Degree from The Curtis Institute of Music and did post-graduate studies at Temple University’s Esther Boyer College of Music. As an instructor, he served on the faculty of Wilkes-Barre University’s School of Music and has presented masterclasses at Tanglewood Music Center, Conservatório de Tatuí (Brazil), Peabody Conservatory, Eastman School of Music, Indiana University Jacobs School of Music, New England Conservatory, Lynn University School of Music (FL), Mannes School of Music (NY) and has taught lessons as a guest at his alma mater at Curtis Institute. In 2014, Darrin received the ‘Cultural Merit Award’ and distinguished title of ‘Comendador’ from The Carlos Gomes Brazilian Society of Arts, Culture and Education. Artists who have significantly contributed to Darrin’s musical and career development include Joe Alessi (trombone), Blair Bollinger (bass trombone), Wayne Cameron (trumpet), Randy Campora (bass trombone), Mary Lou Speaker Churchill (violin), Orlando Cole (cello), James DeSano (trombone), Glenn Dodson (trombone), John Englekes (bass trombone), Raymond Fowler (conductor), Carolyn Foulkes (trumpet), Charlotte Hellekant (mezzo-soprano), James Jenkins (tuba), Mark Lawrence (trombone), Otto-Werner Mueller (conductor), Kadie Nichols (trombone), Michael Tilson Thomas (conductor), Karen Tuttle (viola), Charles Vernon (bass trombone), Wayne Wells (trombone) and Douglas Yeo (bass trombone). Finally, as an advocate for institutional sustainability and progressive change Mr. Milling served on the board of directors for the São Paulo State Symphony Foundation with Brazil’s former leader, President Fernando Henrique Cardoso, from 2008 until 2012. Prior to the end of his mandate, he was invited to serve as a board member at Brazil’s largest social music education initiative, Association of Friends of Project Guri, which serves approximately 50 thousand students annually. He is also an organizational consultant and has been engaged by multiple orchestras and educational institutions throughout South America. At present, he serves on the Artistic Advisory Board of Luzerne Music Center (Lake Luzerne, NY) and is co-director of a Brasil based think-tank known as The Program Brasil – Center for High Performance Training in Musical Studies – dedicated to the successful development of talented young instrumentalists.